Discover the unique properties that make Iron Woods™ Ipe decking an easy choice for your decking project. 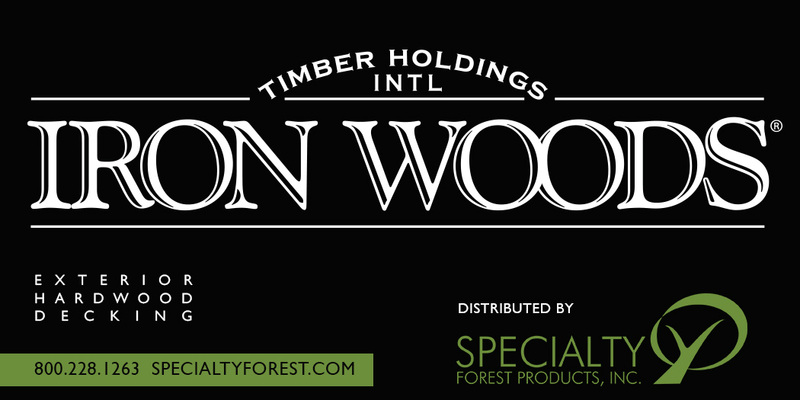 Iron Woods™ brand premium grade Ipe naturally resists wear, rot, splintering, termites, fire, chemicals, marine borers, and virtually every other threat imaginable…beautifully. There is no substitute for the natural beauty of Iron Woods™. Enjoy the beauty and warmth of real wood decking without the hassles. Iron Woods™ requires no application of wood sealers for durability….. ever. Left unsealed, they weather to a handsome silver patina. An outdoor finish can be periodically applied to maintain their rich natural color. Make the right choice, choose Iron Woods™, solid wood decking. Tiger Deck™ Tigerwood decking is the finest decking material for many reasons. Its low-maintenance, durability and natural resistance to insects, decay and rot come with a bonus of incredible beauty. By choosing the highest quality kiln-dried natural material, you avoid many of the short-comings of composite and softwood decking. Tiger Deck™ is renowned for its durability, beauty, innovative design and efficiency of installation. 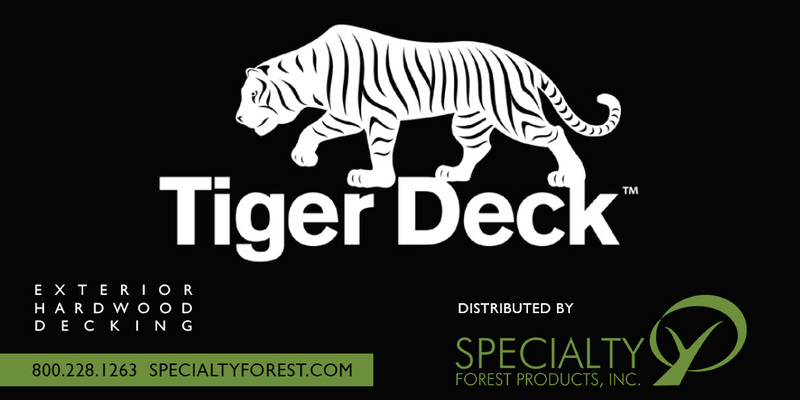 Tiger Deck™ is made from one of the most common and beautiful South American species. Left unsealed, Tigerwood will turn a beautiful silver patina. It is incredibly durable and offers a 25 year limited warranty. Batu decking is ideal for those who want the rich classic look of mahogany plus long lasting durability and minimal maintenance efforts. 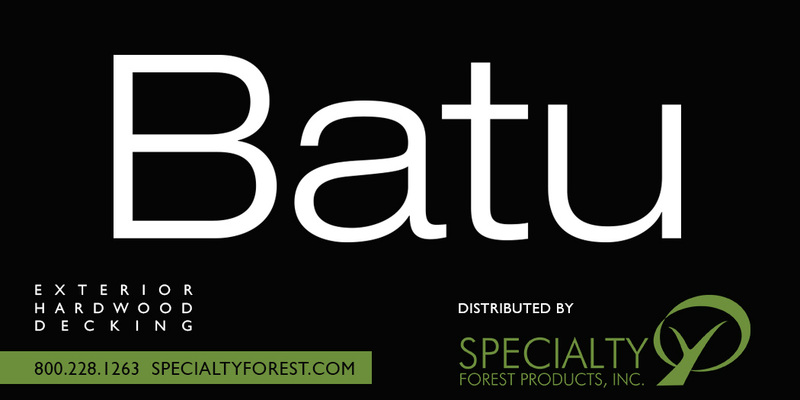 Batu (also known as Membatu, Red Balau, and Mangaris) is known for its hardness, beauty, and natural durability. Batu decking is kiln-dried, consistent in color, and nearly blemish-free providing a beautiful, low cost hardwood option. 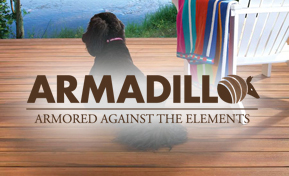 Rhino Deck’s Armadillo decking takes the standard composite and adds a “hardshell” to the outside. This unique cover provides better control over pigmentation resulting in a denser, richer color, more variation, and a more realistic look. A hard exterior shell shrugs off scuffs and stains and boast superior resistance to fading. Grooved Armadillo utilizes the Rhino Deck hidden fastening system. This provides a clean, uninterrupted look and quick installation. 20 year limited warranty – Will not rot, splinter, check, or suffer structural damage from fungal decay. TUFboard DECK is a light-weight cellular PVC engineered to provide the highest quality, performance, and weatherability. TUFboard DECK never needs painting, staining or sealing and can be cleaned with just soap and water. Sit back. Relax. Enjoy outdoor living with your family while experiencing the ultimate in low maintenance decking.